Marwa obtained her MFA from Wimbledon College of Art, University of the Arts, London (2007. She has exhibited in London, Beirut, Athens, Oxford, Lisboa, Santiago de Chile, Rome and Damascus. Her work was shown at Art Dubai in the Bidoun Lounge (Art Park), at the Forum expanded of the Berlinale 2010, at the Homeworks V forum in Beirut, at Tokyo Wonder Site in Tokyo and most recently at the Istanbul Biennale. 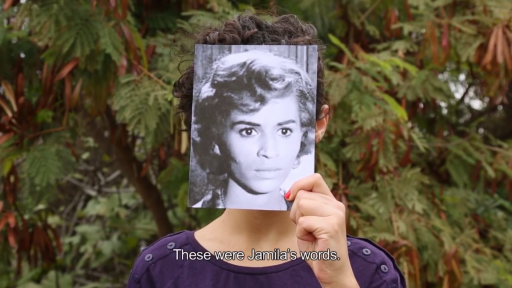 Her videos were screened in several festivals and events such as the e-flux storefront in New York, and most recently at the Centre Pompidou in Paris. She has been granted the artist’s residency at the Arab Image Foundation for 2009, the research residency at the Tokyo Wonder Site in 2010 and the 3 months residency at the Jan Van Eyck academie for 2011. Marwa is also a part-time lecturer in different Universities. She lives and works in Beirut, Lebanon. This short animation explores various ways to narrate an incident that once took place in the mythical Hotel Carlton. 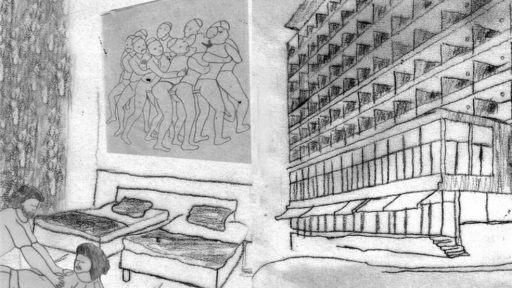 Against images of the deserted hotel today, the artist sketches situations that evoke the rumors that once circulated around the place and the people who inhabited it.